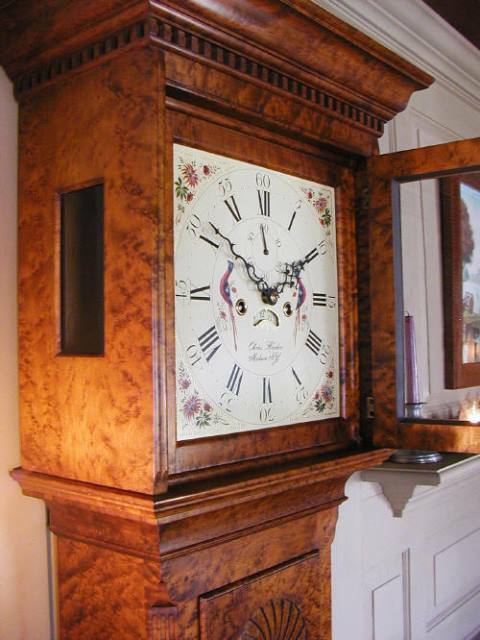 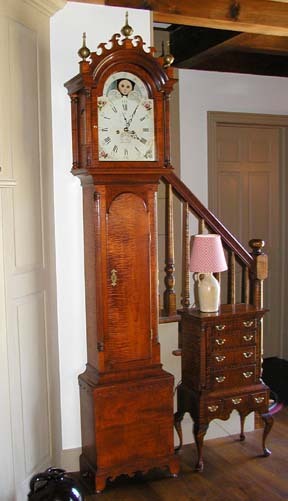 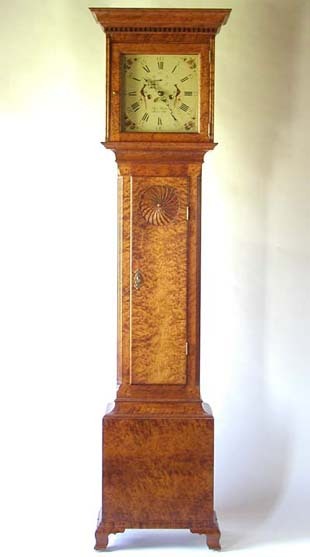 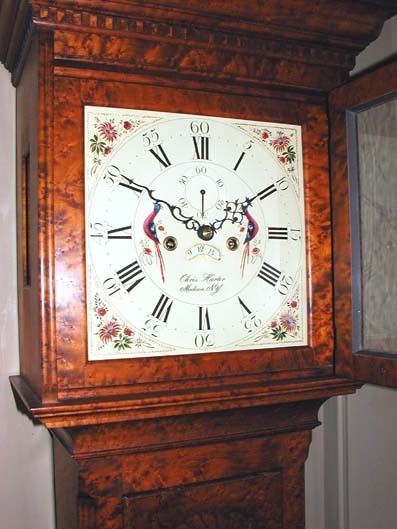 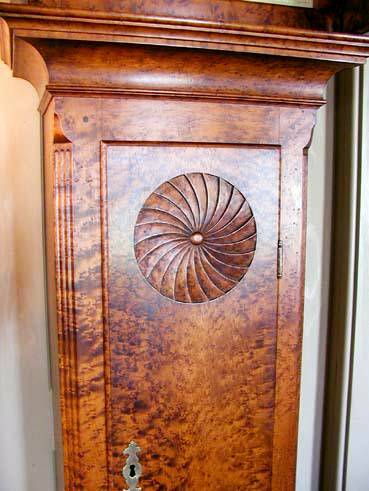 Although this clock does not reproduce a specific period clock, it incorporates a variety of period motifs that harmoniously blend with one another to form a handsome end result. 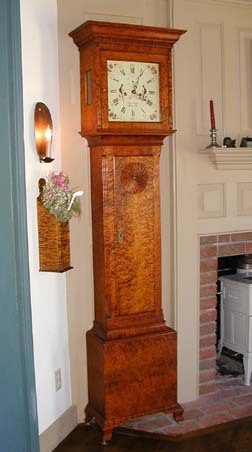 It will look appealing in any wood: cherry, curly maple, birdseye maple, or pine. 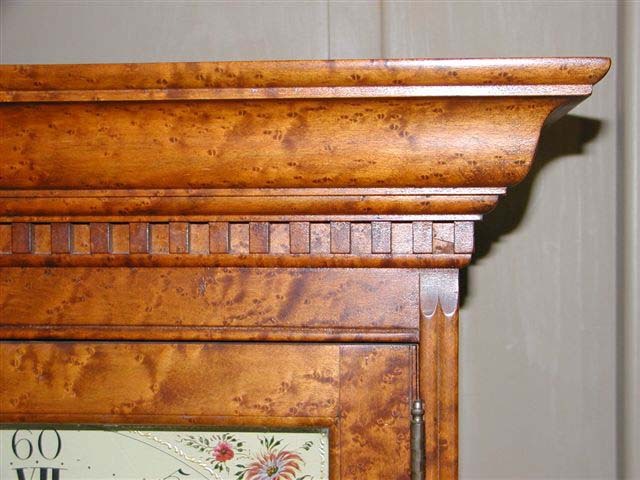 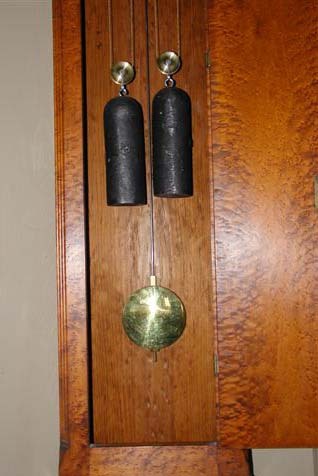 In addition to the wood species, a wide selection of looks can be obtained by a choice of wood finishes or a variety of antique milk paint finishes.